Spring is on its way!!! Feel the Heat!! – AT THE ANNUAL SUDBURY SPORTSMAN SHOW – April 4th to April 6th , 2008. – at the Garson Arena and Community Center. Its back ! and its our biggest Sportsman Show Ever in Sudbury! " We have secured the largest venue ( in space ) in Sudbury at the Garson Arena and Community Center, with the community hall this gives us the needed extra space for this show. The venue is excellent just off Falconbridge road in Garson which is minutes from almost anywhere in Sudbury and region." States Darren Ceccarelli, the shows producer. "This year we have not only expanded the exhibitor line, with tons more displays, but have recruited new products that have never been seen in Sudbury or in fact in parts of Canada before. 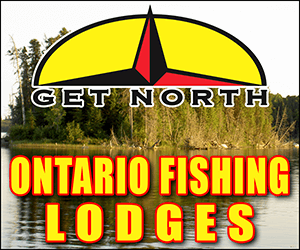 We have a large display of boats and motors, resorts and lodges, fishing tackle, ATV’s, motorcycles, tours, docks, boat licensing, outdoor equipment, travel trailers, canoes, scuba equipment as well as all the regular and special items you can expect to find in a Sportsman Show. This year we will be featuring many new products and displays such as the Canadian Forces Display, Fisheries and Oceans Canada, air compressors and tools, fly-in fishing, log homes, ATV and motorcycle courses, Argos and much more! We will also be bringing back the antique motor display with new additions ( see attached email) This is just a sampling of the many new additions to this years show which will also include dog show. This show will also feature dog retrieving ( hunting dogs) also an agility, rally obedience and formal obedience demos from the Sudbury Kennel Club. Demo times will be Friday at 6 and 8 pm, Saturday , 10:20 -12:30 -2:30 -4 and Sunday 11am – 1pm -3pm. This is also the best time to buy a Boat or ATV – because we have all of the leading dealers from Sudbury and Northern Ontario represented at the show – you can shop and compare and it helps you make the buying decision that much easier and quicker. This will be the best Sportsman Show that Sudbury has ever seen we have also recruited new marinas with new boat lines including Sandy Cove Marine, Starlite Marine, Boaters Choice and Sudbury’s leading boat dealers. 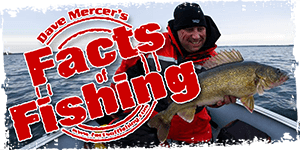 There will be something for the entire family at this years Sportsman Show which takes place on Friday, April 4th, and Saturday, April 5th and Sunday, April 6th, 2008 at the Garson Arena and Community Centre just off Falconbridge Road, in Garson. The show hours will be Friday, 5pm to 9pm, Saturday 10 am to 5pm and Sunday, 10 am to 4pm. Admission will be $5 for adults for a weekend pass and children 12 and under are free.